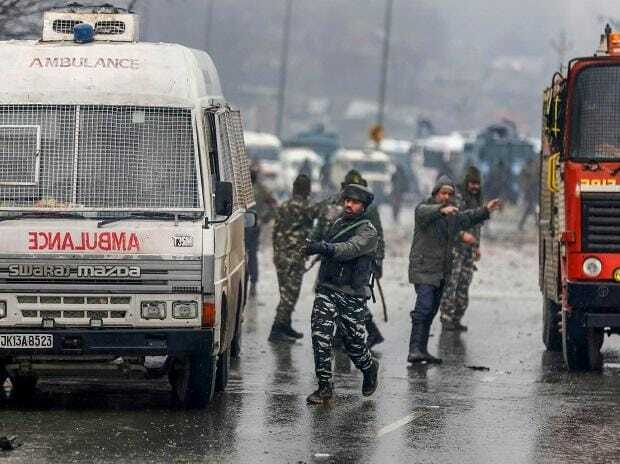 Bharatiya Janata Party (BJP) cancelled all political programmes it had planned in the wake of the Pulwama terror attack in which as many as forty Central Reserve Police Force (CRPF) personnel were killed on Thursday. Speaking to media, BJP spokesperson Sambit Patra informed that Prime Minister Narendra Modi's public meeting in Madhya Pradesh's Itarsi has been cancelled, and party president Amit Shah will not hold any rallies in Odisha and Chhattisgarh today, as scheduled. Patra assured the public that despite gruesome terror attacks, the Centre will not stop carrying out developmental work across the country. "We will continue to work in order to develop our country. No developmental activities will be stopped because of such terror attacks. The agenda of the terrorist is to create obstructions in the path of development, but we will not let them succeed," the BJP spokesperson said. On Thursday, Congress president Rahul Gandhi also cancelled a lunch with envoys of G-20 countries which was slated to be held today. Moreover, his sister Priyanka Gandhi Vadra called off her first press conference, stating that it was not an appropriate time to talk politics and observed silence for the slain CRPF soldiers. As many as 40 CRPF personnel were killed when their convoy was targeted on the Srinagar-Jammu National Highway on Thursday. Pakistan-based terror outfit Jaish-e-Mohammad claimed responsibility for the attack, saying it was caused by a suicide bomber, according to a local news agency.